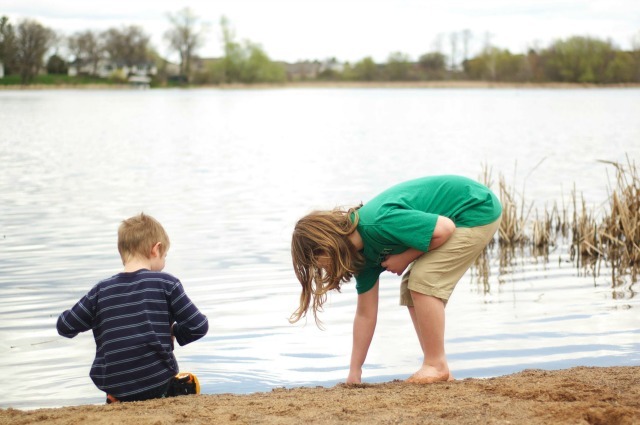 I remember when my brother and I were little; as soon as the ice was out on the lake, we insisted on unpacking our shorts and swimsuits and trekking down to the shore. My dad was usually the one to join us, wearing a jacket and jeans, while we braved the frigid waters. It always started with a running jump off the end of the dock. Then the gasp as our lungs closed up from the cold and a few seconds of splashing around, pretending it wasn't really that bad (a.k.a. our legs had gone numb). With giant cotton towels, ready and waiting, Dad would smile to himself as though he remembered doing the exact same thing with his brothers. Today was very much the same. The boys wanted to go to the beach. They played in the water while I sat on a bench wearing jeans and a wool sweater. 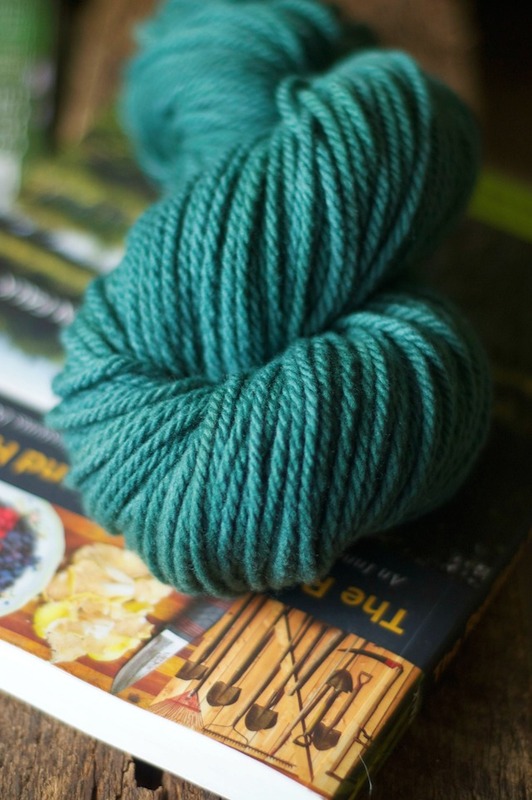 The only obvious thing to do was to sit back and knit. Because, it's still cold enough to wear knits.